Coquito is my favorite holiday drink and tastes so much better than traditional eggnog! While similar to eggnog, this Puerto-Rican beverage is coconut-milk based with rum. Below is my recipe with a twist; I used The Ultimate Cake Spice by My Fabulous for the hint of cinnamon and cloves. Pour the egg yolk and evaporated milk mixture into a blender. Add the cream of coconut, sweetened condensed milk, water, rum, and The Ultimate Cake Spice into the blender. Blend all contents for approximately 1 minute. 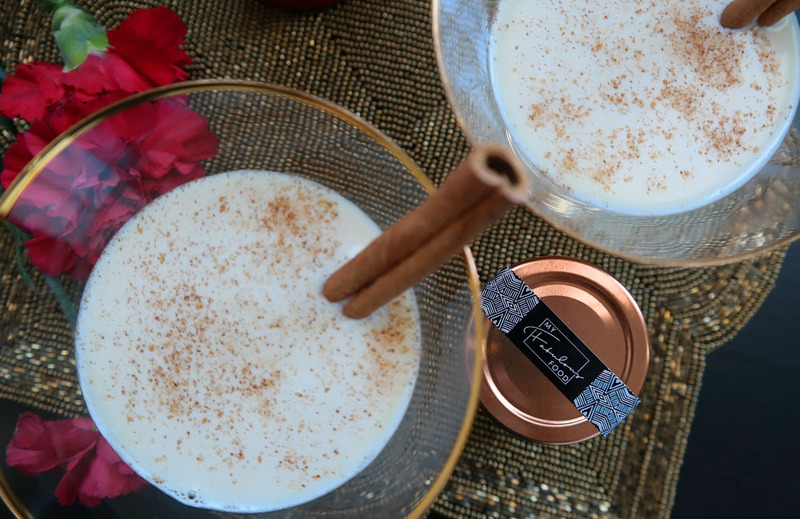 Pour coquito into glasses and garnish with additional spice and cinnamon sticks if desired. Serve and enjoy! Important: Pour the remainder of the coquito into a glass bottle and refrigerate.